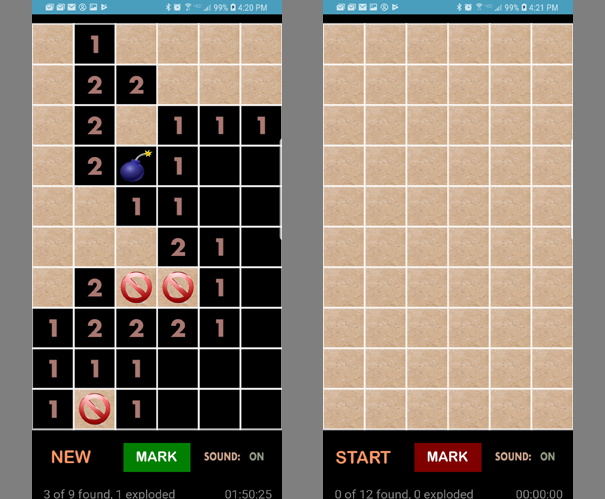 Landmine is a single player game where you find all the mines without setting them off. Set the grid resolution by swiping left/right to increase/decrease the size of the grid. A great way to pass the time while traveling or waiting for an event!